The Acumatica Financial Management Suite offers a core set of financial modules used by most businesses. 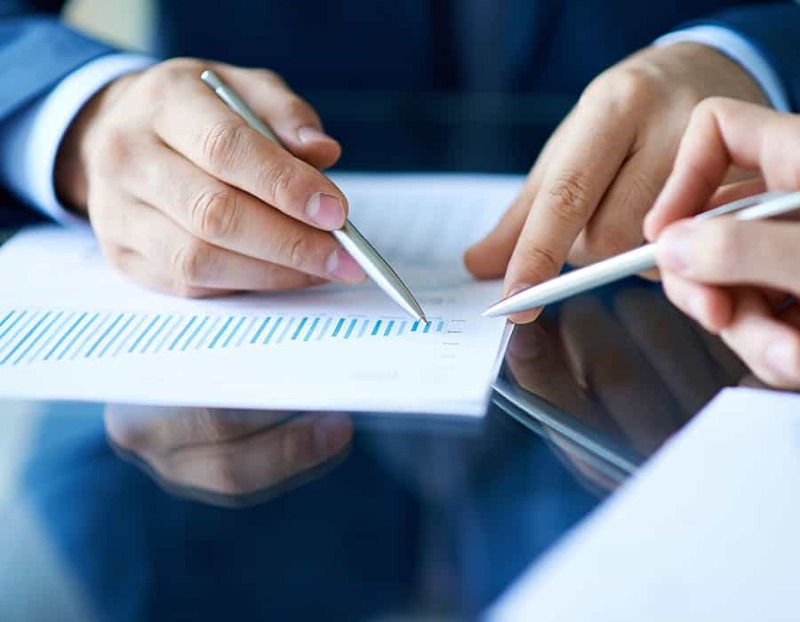 The suite is designed for companies with complex requirements, yet scalable for use in smaller organizations with fewer ERP financial management system requirements. The modules in the Financial Management Suite are integrated with each other and also with the other Acumatica suites. Time saving automation enables you to facilitate month end activities efficiently and with fewer errors. Access 100% of your financial information from anywhere, using any popular web browser on any device. Improve decisions by using drilldown reports and dashboards to gain access to past information and provide insights into future needs. Integrate financials across multiple business entities and automate reporting, consolidation, payments and cash management. Check out the Financial Management Suite datasheet for a complete listing of all modules. 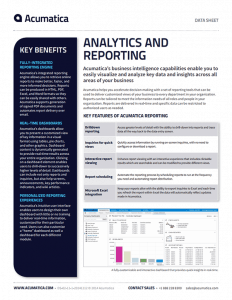 Acumatica’s integrated reporting engine allows you to retrieve online reports to make better, faster, and more informed decisions. 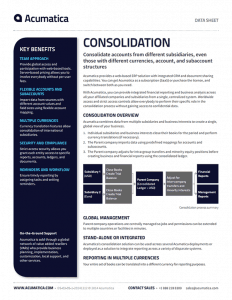 Consolidate accounts from different subsidiaries, even those with different currencies, account, and subaccount structures. 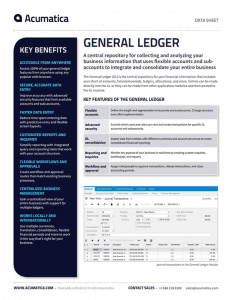 A central repository for collecting and analyzing your business information that uses flexible accounts and subaccounts to integrate and consolidate your entire business.